The Konica Minolta PagePro 1250W is a durable budget laser printer that is perfectly suited to home users for its cost-saving attributes and modest speed and quality. The Konica Minolta PagePro 1250W can also work for home offices that require minimal printing production and are looking to spend considerably less with their demands and needs. With an option to upgrade its functions, the Konica Minolta PagePro 1250W is a pretty dependable printer that will not burden users with complicated menus and features, but rather offer simple and dependable print completion for home office owners and personal users alike. The Konica Minolta PagePro 1250W is a simple, effective solution to address basic printing needs, with a speed clocking at 17 pages per minute (ppm) for monochrome prints. Included in it is an 8MB SDRAM memory for the printer’s productivity. The Konica Minolta PagePro 1250W is also equipped with a 75 MHz PowerPC processor and uses electrophotographic laser for its print function. 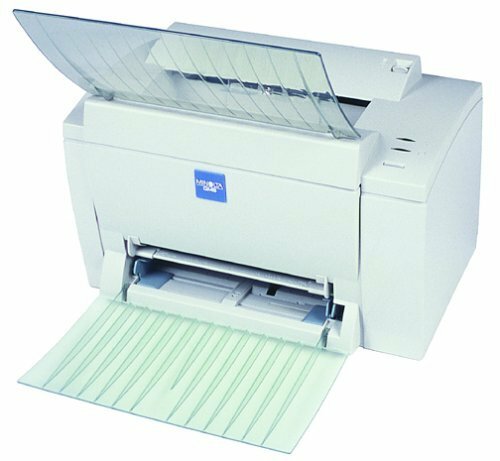 Its most impressive feature however, despite being budget laser printer is its resolution for print outs, with a maximum of 1200 x 1200 dots per inch, rivaling other high end printers in the market. Input capacity for the Konica Minolta PagePro 1250W stands at 150 sheets, ideal for low to moderate printing demands. Its maximum input capacity stands at 650 sheets with all available options and a maximum output capacity at 120 sheets, with all available options. Connectivity uses IEEE1284 parallel and USB interfaces. Available media types include plain paper, thick stock, OHP transparencies, laser-quality labels, envelopes, and post office postcards. Supported weight for media is up to 24 lb. for bond paper and 90 lb. for index types. The Konica Minolta PagePro 1250W even includes a manual duplex option for easier and faster production. The Konica Minolta PagePro 1250W is also compact, with dimensions 14.6" X 15.4" X16.1" and a weight of 18.74 lbs., pretty light compared to other monochrome laser printers, and also quite convenient for space-saving efforts in the workplace. Given its low purchase cost, the Konica Minolta PagePro 1250W also provides extra low running costs for prints, as low as two cents per page. This makes the Konica Minolta PagePro 1250W one of the best cost-efficient printers in terms of print costs per page. The Konica Minolta PagePro 1250W may be too simple for its own good, as other printer brands offer better features compared to the PagePro 1250W at a slightly higher price, and office and home owners can choose to spend a little less to get better performance for their printers. For its volume capacity, the Konica Minolta PagePro 1250W is not fit for higher than moderate production demands, with its limited paper capacity and low printer memory, which is also not upgradable. 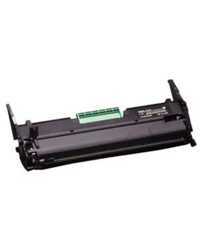 The Konica Minolta PagePro 1250W is also quite noisy as laser printer, with decibel levels reaching greater than 62 dB. Another big letdown for the Konica Minolta PagePro 1250W is its power consumption. For a basic, monochrome laser printer, the Konica Minolta PagePro 1250W packs a maximum of 840 watts when running. This certainly is a worrisome attribute for a lot of printer users, whether at home or in the workplace. The Konica Minolta PagePro 1250W is also not quite flexible when it comes to operating system platform support, as the printer is only supported by Windows-based platforms. Mac and Linux-based users and offices will not be able to use the Konica Minolta PagePro 1250W, and in today’s competitive market for operating system platform support, the Konica Minolta PagePro 1250W loses a considerable base for printer users. Review it: "Konica Minolta PagePro 1250W "
The Konica Minolta PagePro 1250W ships with a monochrome toner cartridge with a 3,000-page yield on 5% coverage. 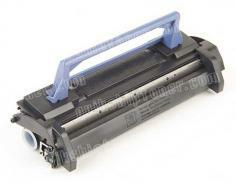 Replacement for the toner cartridge includes a high yield cartridge variety of 6,000 pages on 5% coverage. The drum unit for the Konica Minolta PagePro 1250W on the other hand yields 20,000 pages at 5% coverage, while its monthly maximum cycle stands at 15,000 pages.